Pin up St. Patrick's Day cards, pins, and kids' artwork! 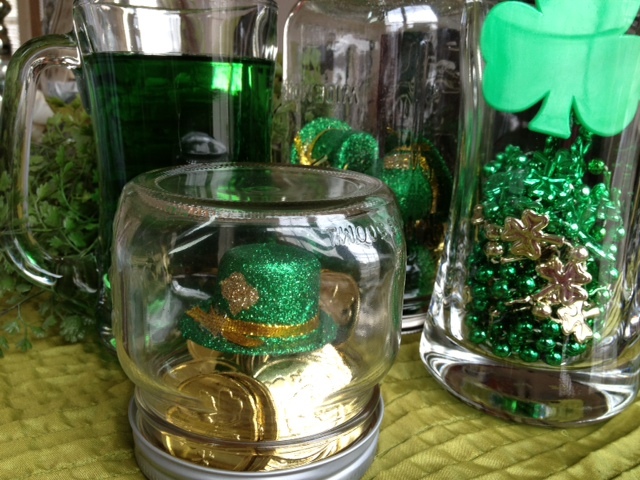 A few assorted beer glasses with green water and a floating candle make an easy and inexpensive display..
No St. Paddy's Day is complete without some real beer...in a cupcake! This recipe is delicious and leaves some leftover Guinness that just can't be wasted. I found this on www.partypeopleblog.com last year and have promised my son that my fingers will not get caught in the mixer again this time. That was before I drank the Guinness BTW. 1. In a large bowl, combine flour, sugar, baking soda, and salt. Set aside. 2. Bring Guinness and butter to a simmer in a large saucepan over medium heat. 4. Using electric mixer, beat eggs and sour cream in a large bowl. 5. Add Guinness-chocolate mixture to egg mixture and beat until just combined. 6. Add flour mixture and beat on slow speed. 7. Fold batter until completely combined. 8. Fill cupcake liners, 2/3 to 3/4 full. Bake until toothpick comes out clean, about 17 minutes. Cool completely on a rack before icing. 1. Place the butter in a large bowl and beat until creamy. 2. Gradually add the sugar, one cup at a time, beating well (about 2 minutes) after each cup until a good consistency is reached. 3. Add Bailey's and milk until just combined. 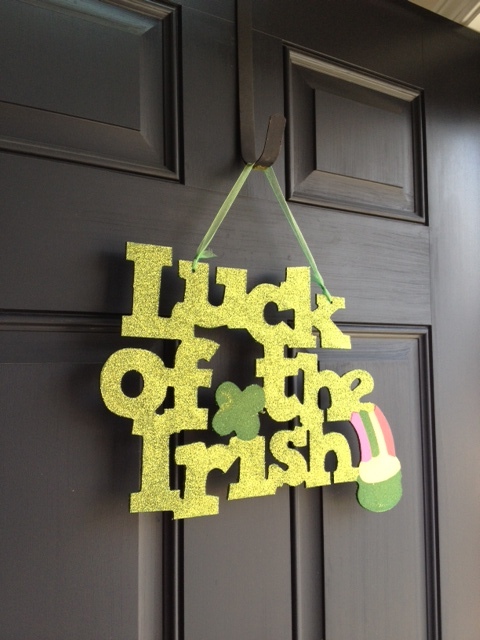 Ice, decorate with sprinkles or a shamrock, and enjoy!!! !